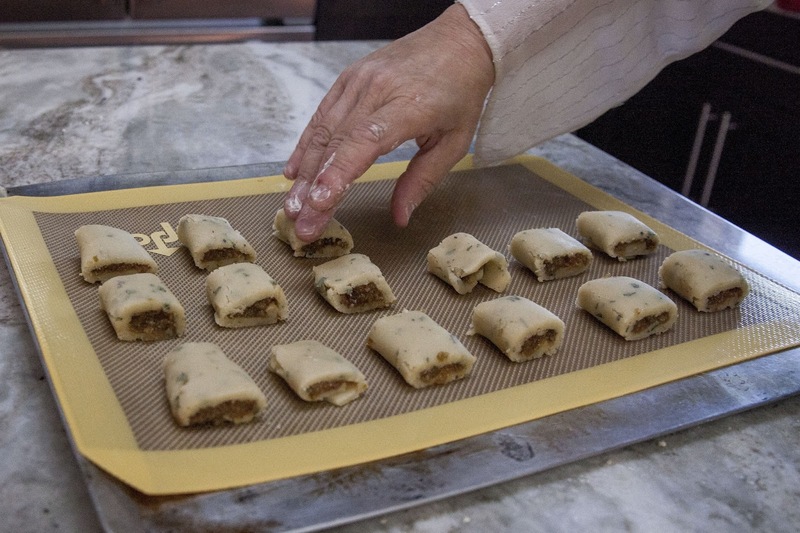 The Colors Of Indian Cooking: Pigs + Figs = Pig Newtons. A Grown Up Make-Ahead Party Food. 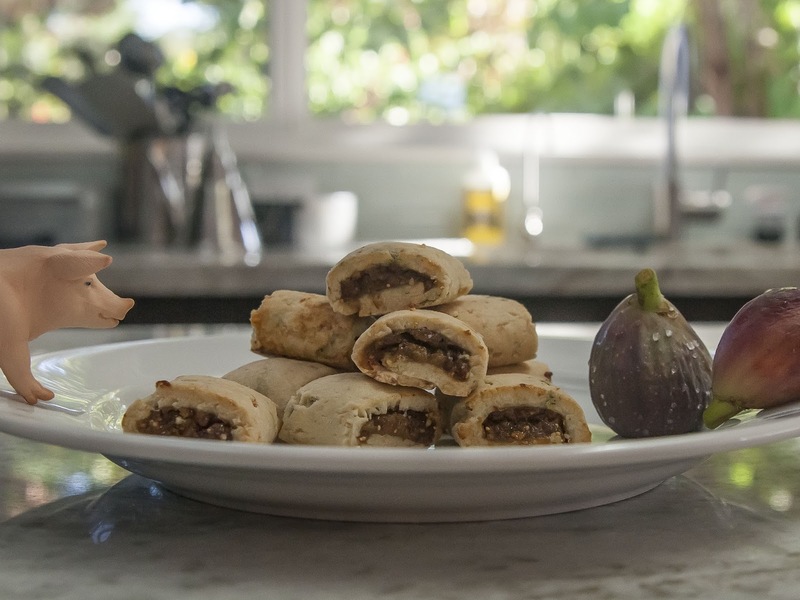 Pigs + Figs = Pig Newtons. A Grown Up Make-Ahead Party Food. When I was a kid one of my favorite cookies was a Fig Newton. I didn't get them very often as Fran wasn't big into sweets and when we did get cookies they were usually her trademarked homemade Butter, aka poker-chip, cookies. Once in a while a bag of Fig Newtons would find it's way into the house usually picked up by my dad at the day-old store on the way home from work. Of course, being dad he got the lions share. I remember him sitting in the kitchen, in a cloud of Camel smoke, a plate of Fig Newtons and a cold glass of milk in front of him listening to the Giants on KSFO. The kitchen was off limits territory to kids during the game but once in a while I'd sneak in and he'd toss me a bone, or rather a Fig Newton. 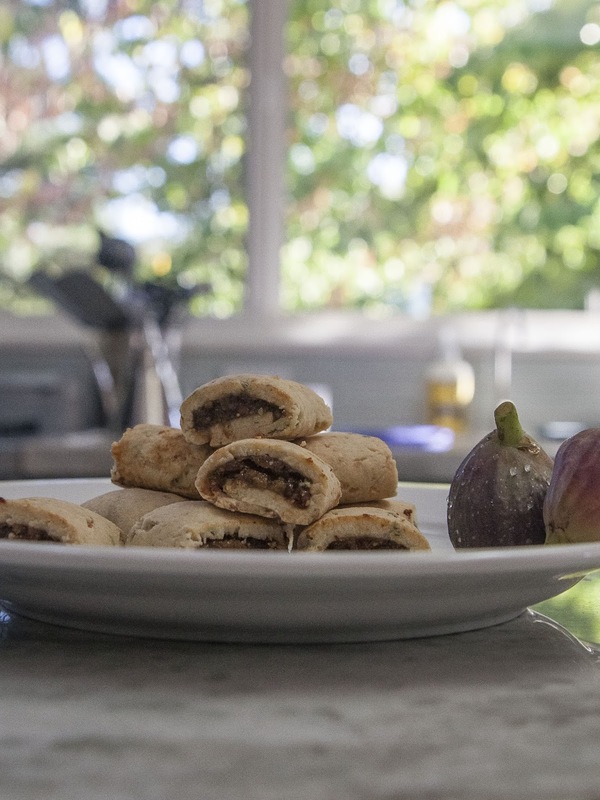 I've thought of baking my own Fig Newtons over the years, but somehow I never seemed to get around to it, then last year Alan had the idea that instead of Fig Newtons, why not bake "Pig Newtons"? Pig Newtons? Really? All I could think of was this. 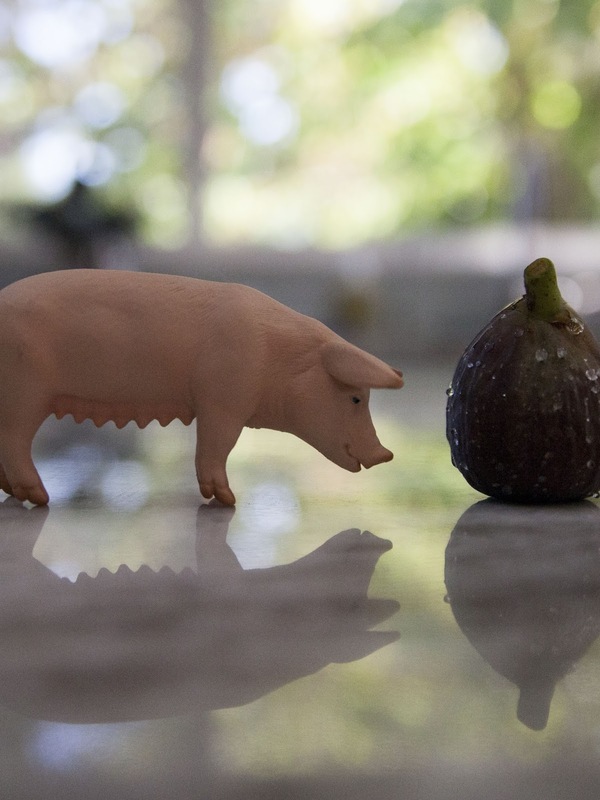 So yeah, I was gonna bake a "cookie" made of figs and bacon. Right. I've been eating vegan for the last several months since my tangle with campylobacter, so yeah I'm gonna bake a bacon cookie. I baked a bacon cookie, so shoot me. Another thing we have here in Sonoma is excellent local bacon. Usually I have some home made in our freezer, but with the move and renovation I just haven't gotten my bacon on lately so I got some of our locally made Applewood smoked bacon and once again, pilfered Needlemans' fig tree. Pig Newtons were on their way to moving from just a bacon fever dream to reality. 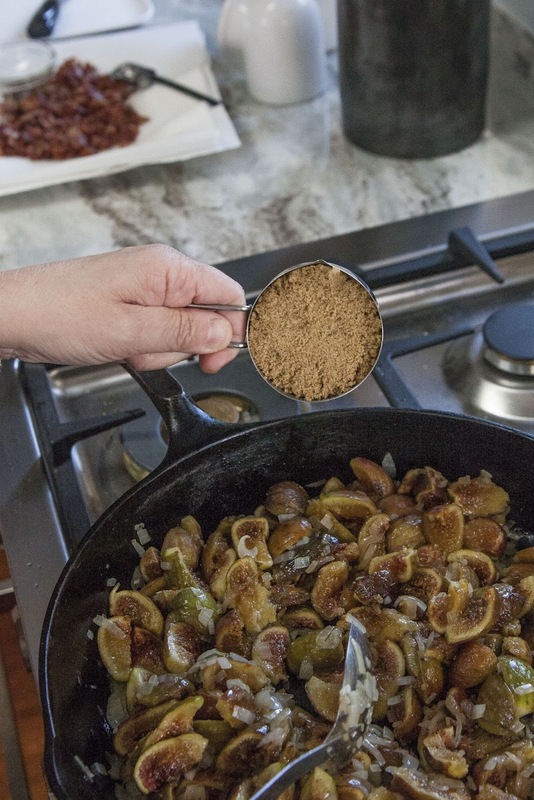 After all, I see all this bacon fig jam out there, it had to be just one simple step to make some of that and wrap it in a savory shortbread crust. It was. There are a couple of ways to go about this. 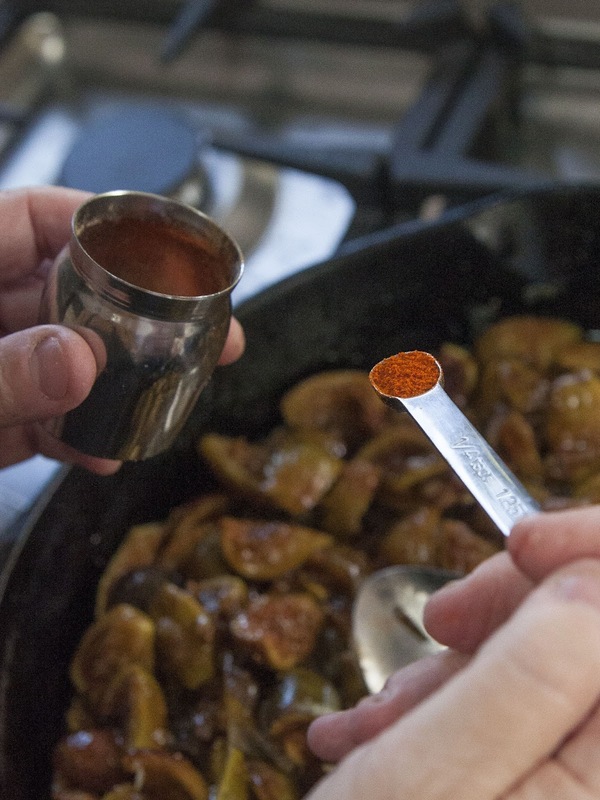 You can make your own bacon fig jam, or buy some. 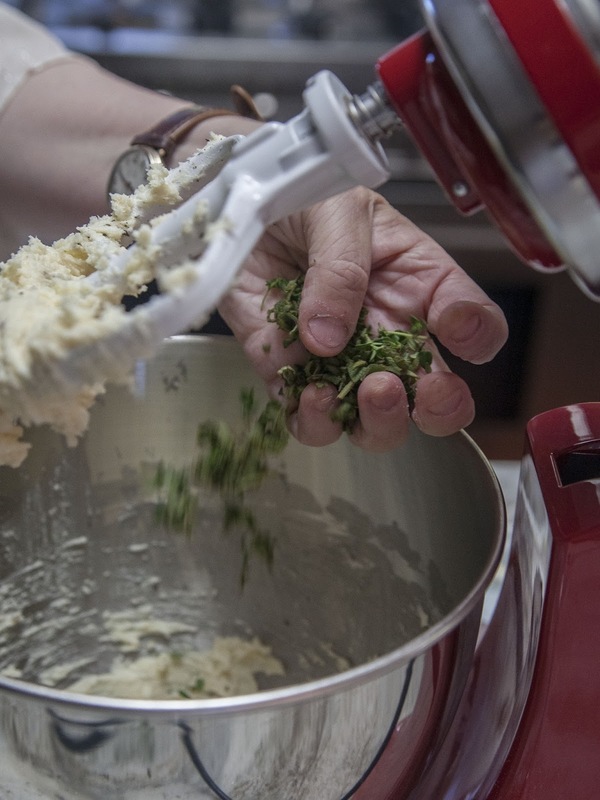 I'll tell you here how to make the jam and the cookie dough, then you can figure out what you have to time for. Let's Newton! 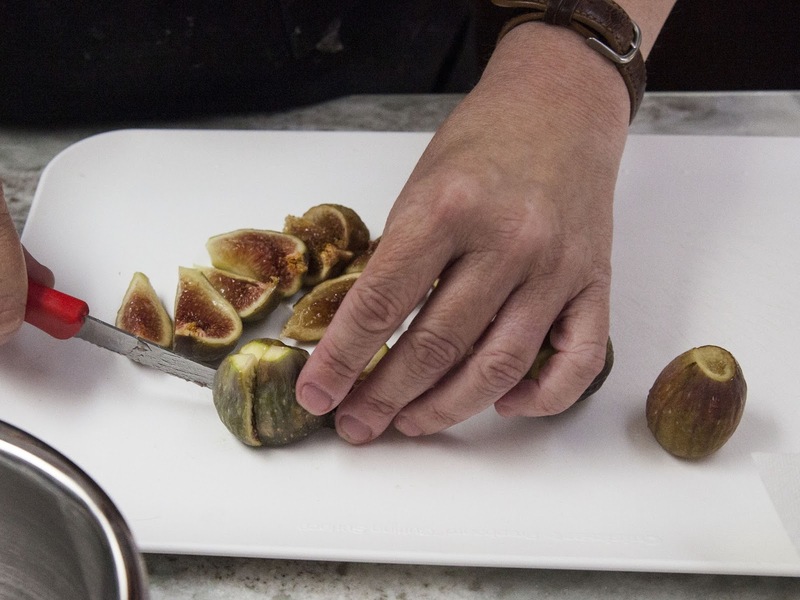 Wash, dry, and quarter the figs. Chop the onion and set it aside. 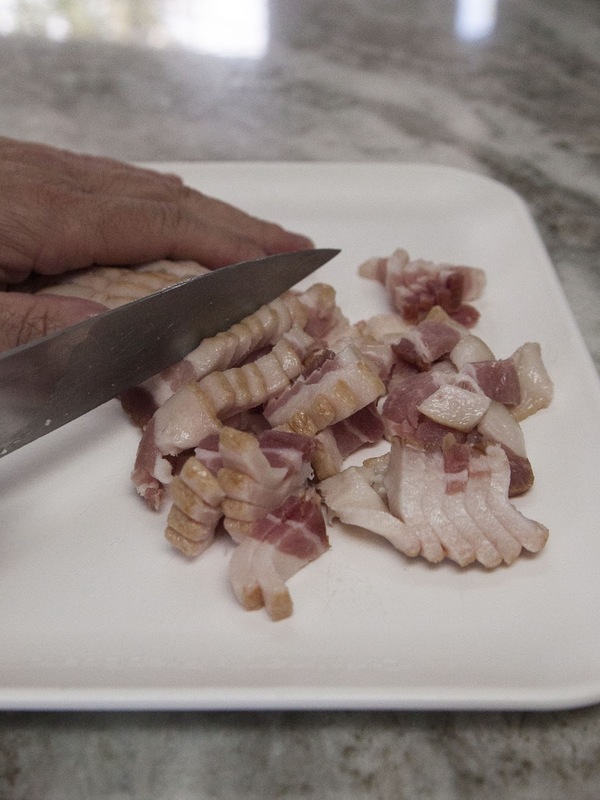 Chop your bacon into small pieces. 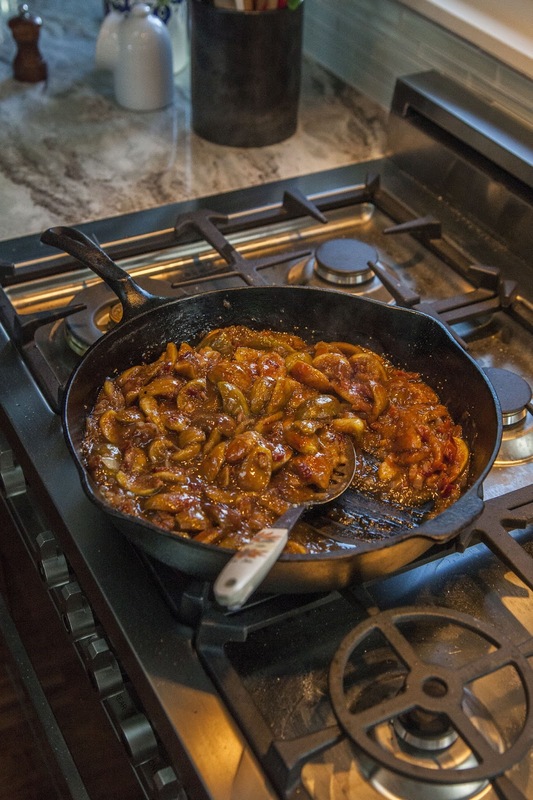 Place a cast iron pan on the fire. 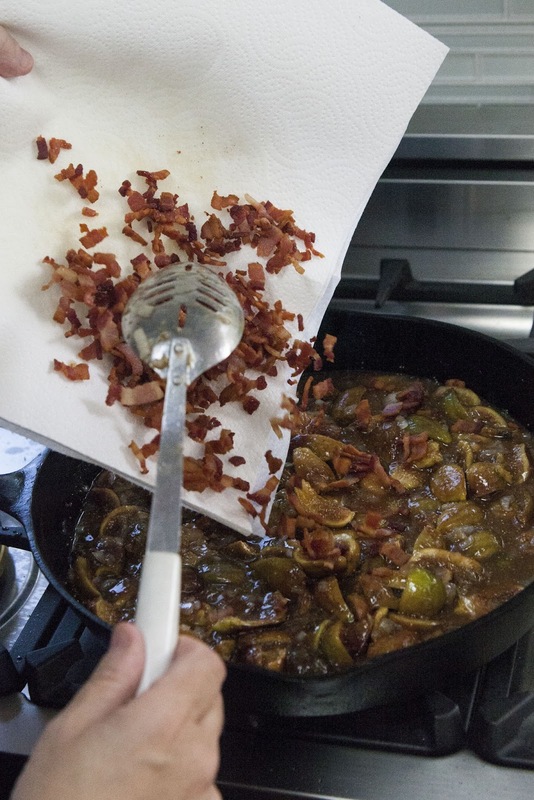 When it's hot, add in the chopped bacon. 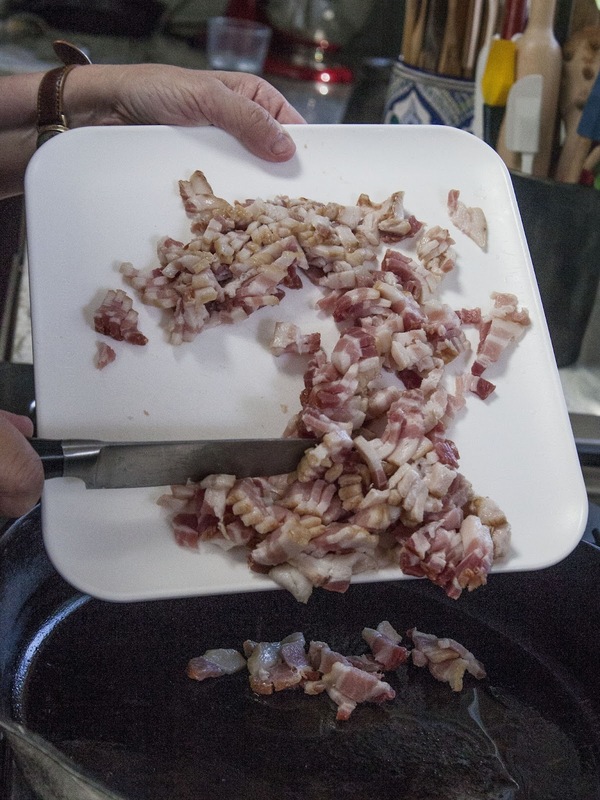 Scoop the rendered crispy bacon onto a plate covered with a paper towel to blot up the grease. 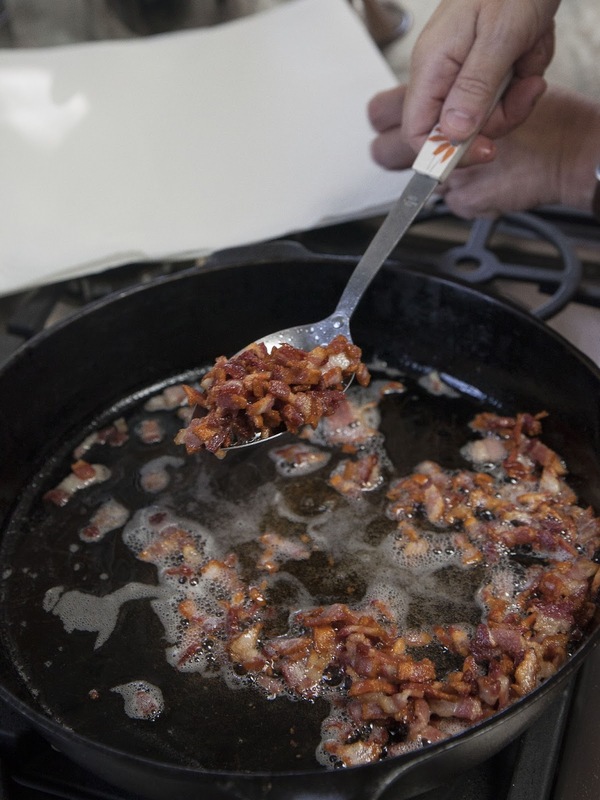 Take the hot bacon fat in the skillet and save 2 Tbs of it. Pour the rest of it off for use another time. 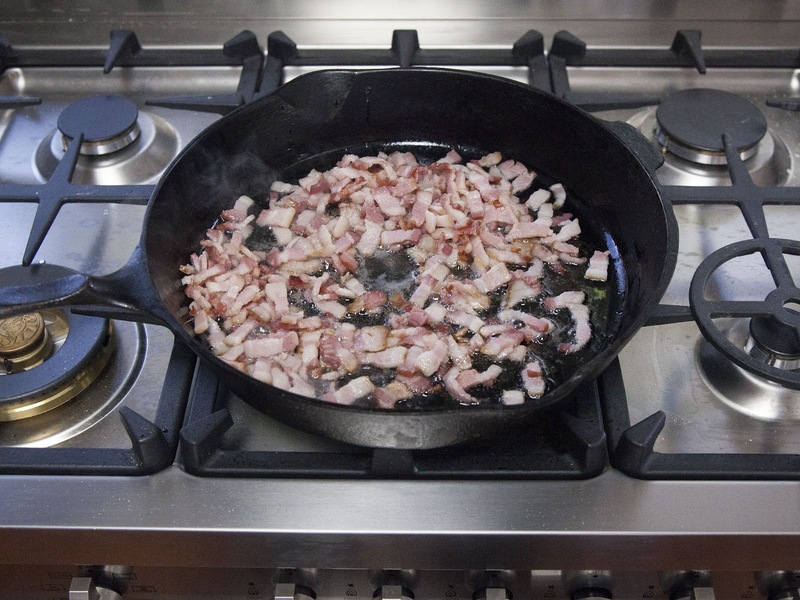 Pour the 2 Tbs of bacon grease back into the pan. Add in your chopped onion. 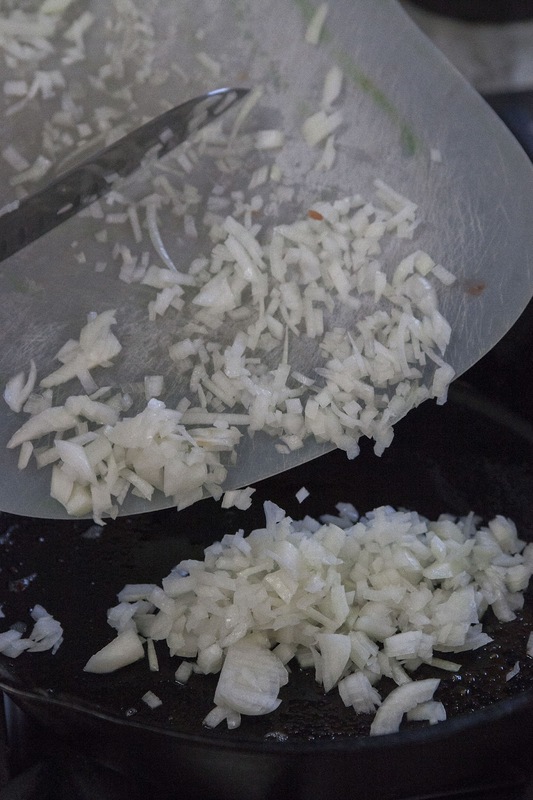 Saute the onions until they turn soft. 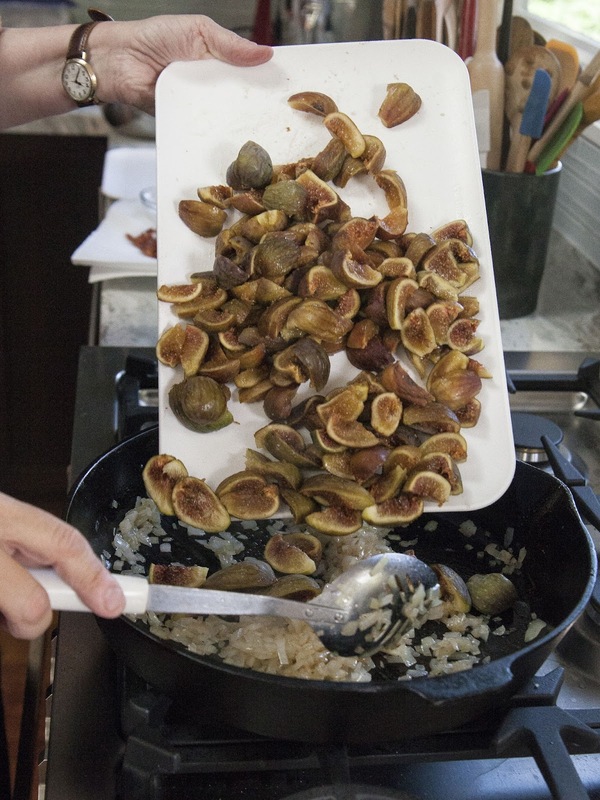 Now add the quartered figs into the pan. 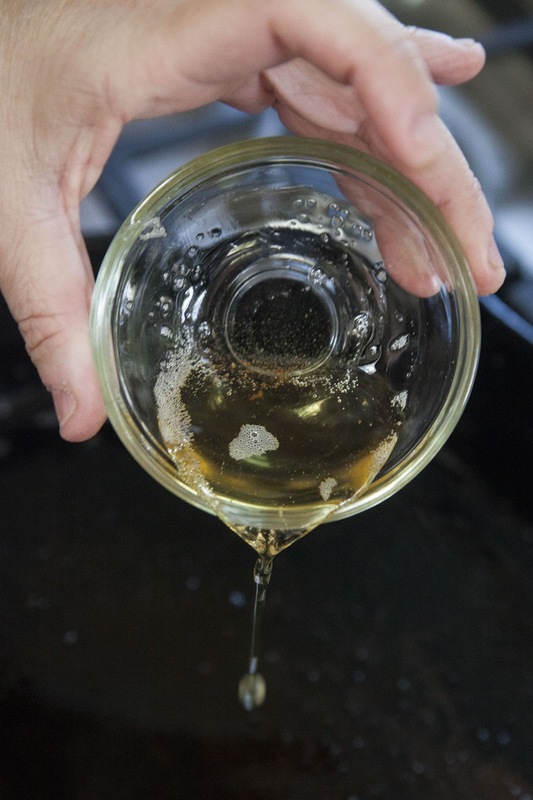 ...the apple cider vinegar, maple syrup, and water. Add in the ginger, chili, and the rest of the spices. Finally, add in the crispy bacon pieces. 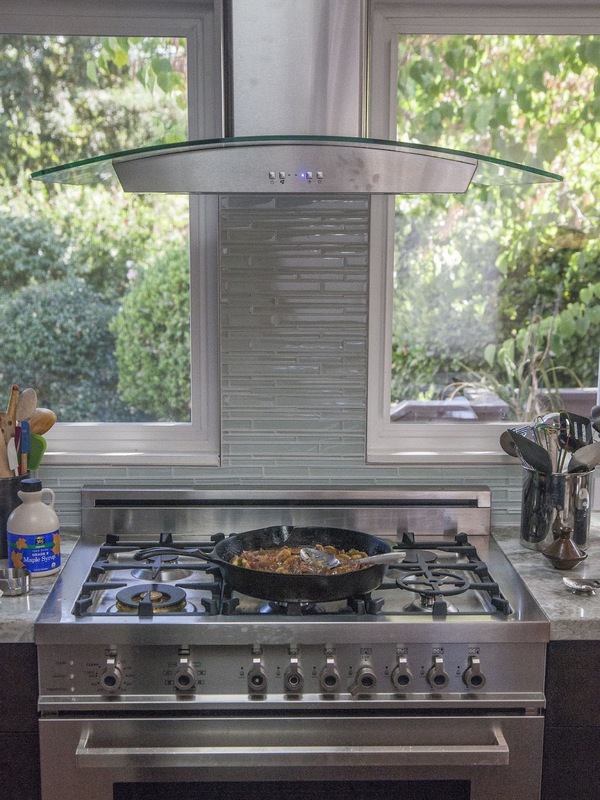 Stir everything around. 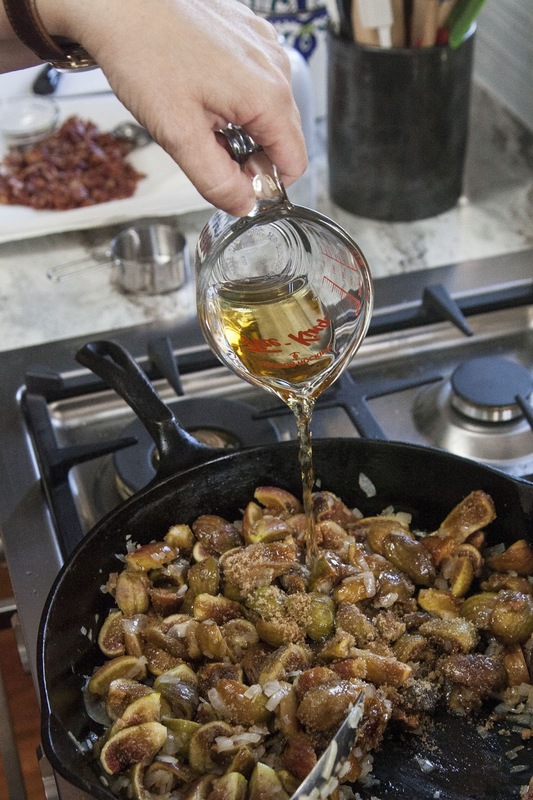 Bring the mixture to a boil then turn the heat down and simmer the bacon fig jam for about 1 hour. The jam is done when it thickens and turns dark. Take the jam off the flame and let it cool a bit. 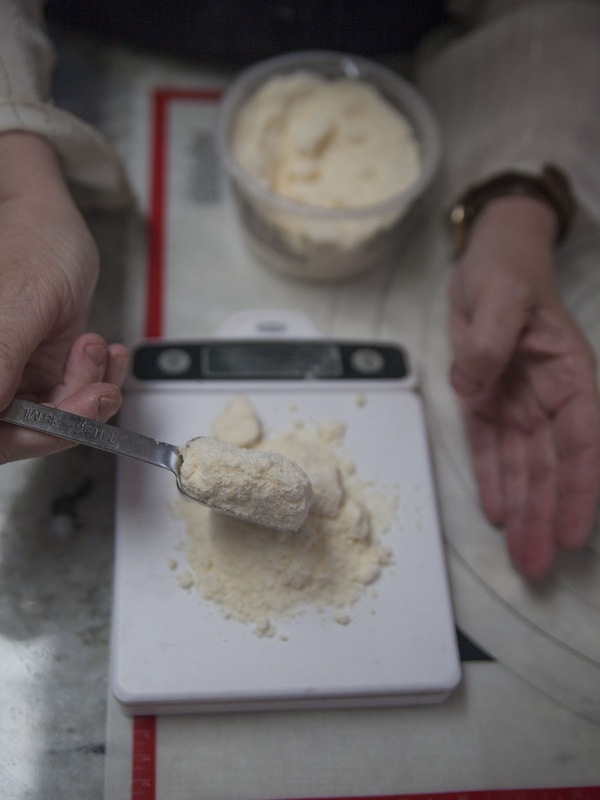 Move it to a food processor and grind it to a thick jammy texture. Now, set it aside (it'll keep in the fridge in an air tight container for about 2 weeks) and make your cookies whenever you want. 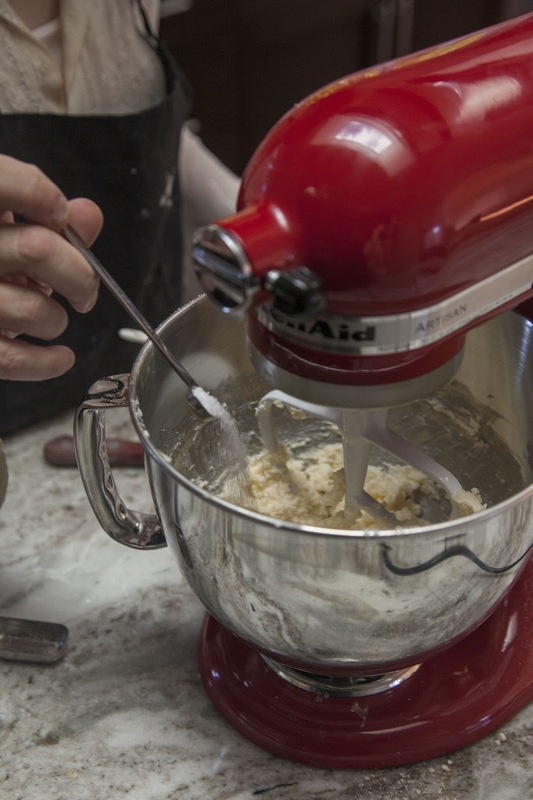 This cookie dough can also be made a few days ahead. Cut it into pieces, set it aside. Measure out 3 oz of grated Parmesan, set it aside. 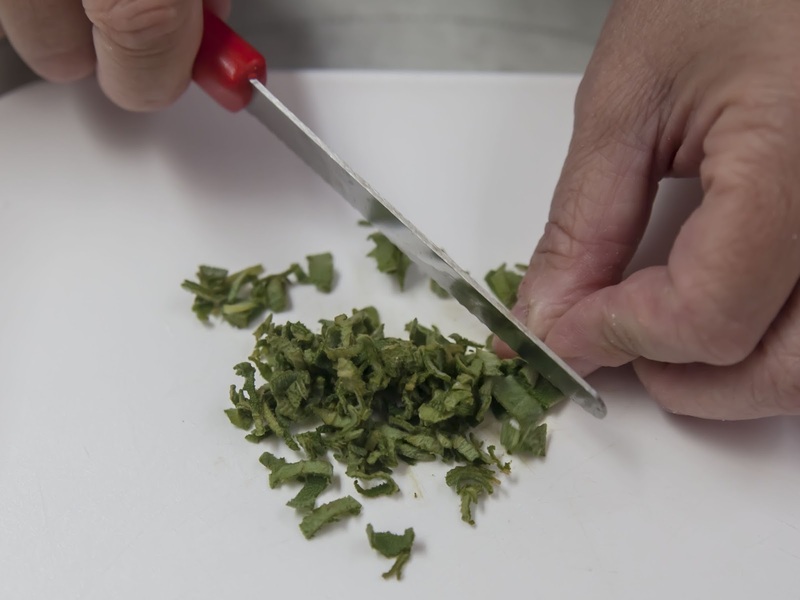 Chop the sage and thyme and set them aside. 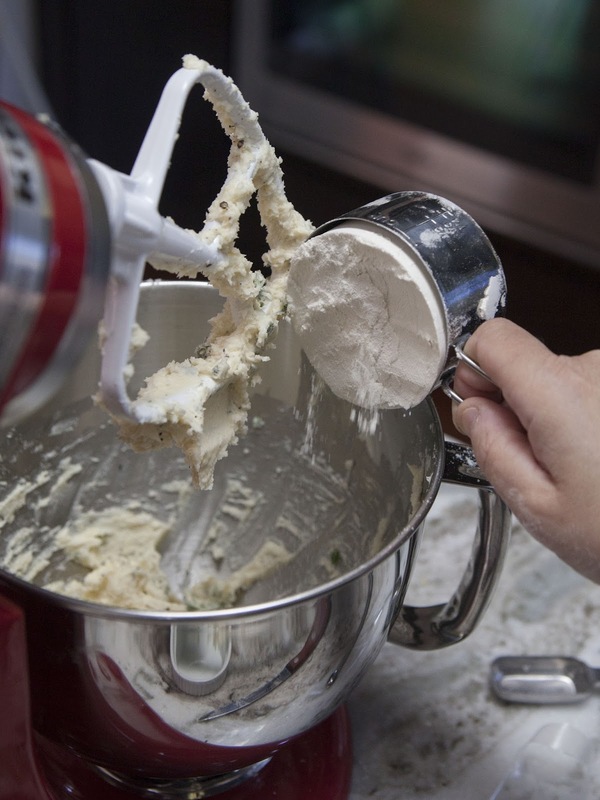 Put the butter into a stand mixer with the paddle attachment, turn it to low and blend it until the butter is creamy. Add each of these one at a time until each one is thoroughly blended in. Finally add in the water to help the dough stick together. I usually wind up adding in 3 Tbs, but go one at a time until it's the texture you need. 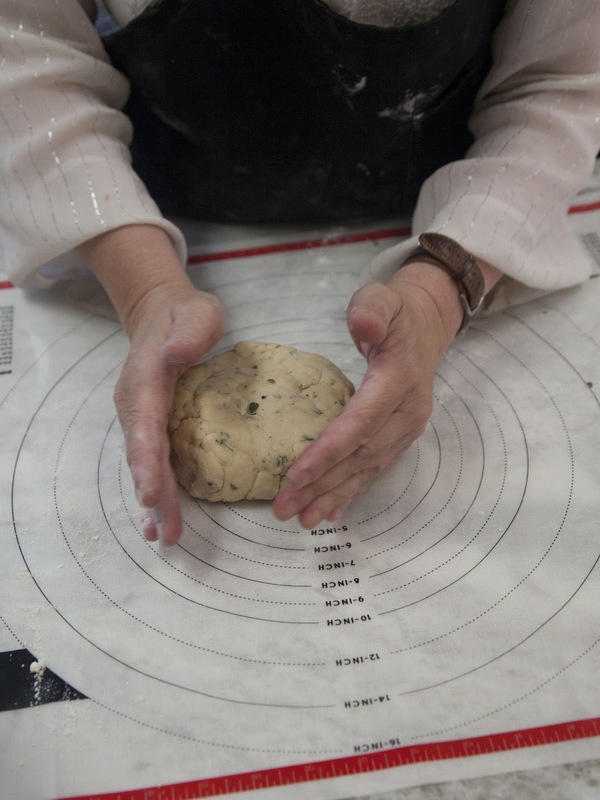 Take the dough out of the bowl and shape it into a round. 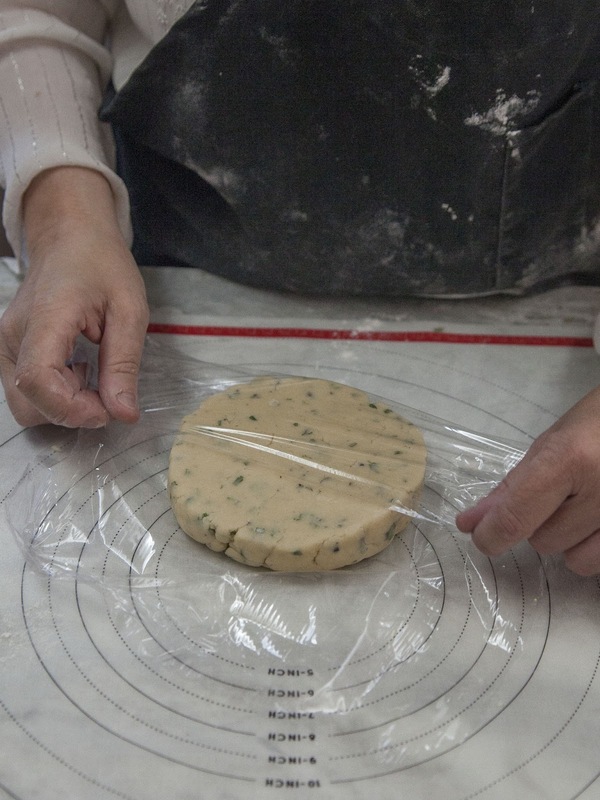 Flatten it into a round. 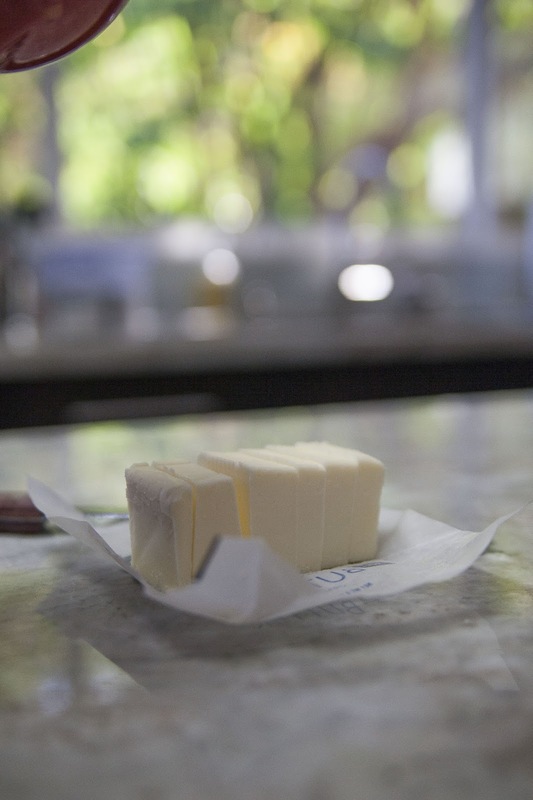 Wrap in in plastic wrap and pop it into the fridge to firm up for at least 30 minutes. 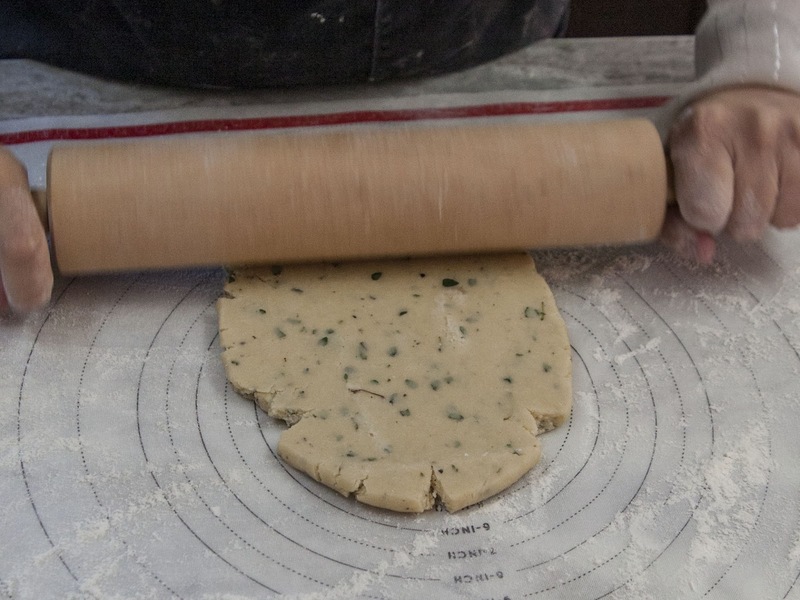 You can make the dough ahead of time also. 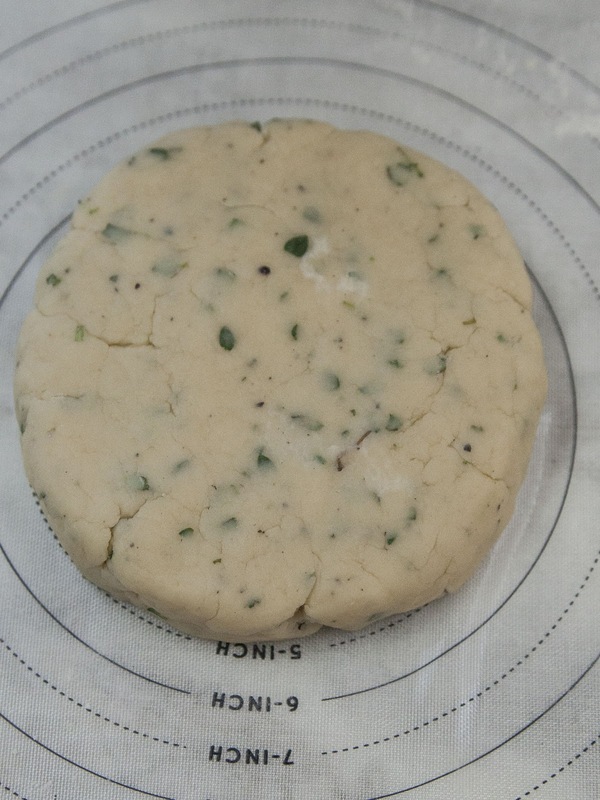 It'll harden up in the fridge so let it soften a bit before you work with it if you leave it there for very long. 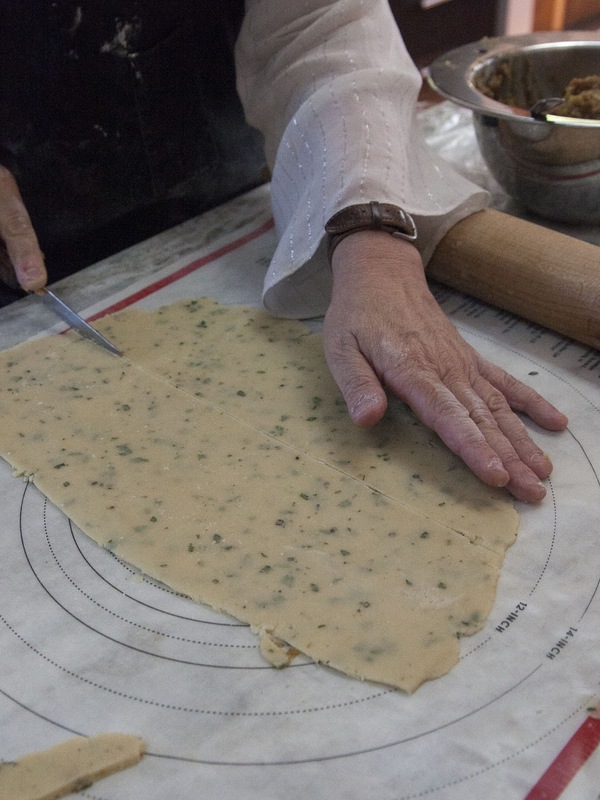 Roll the dough about 1/4 inch thick. 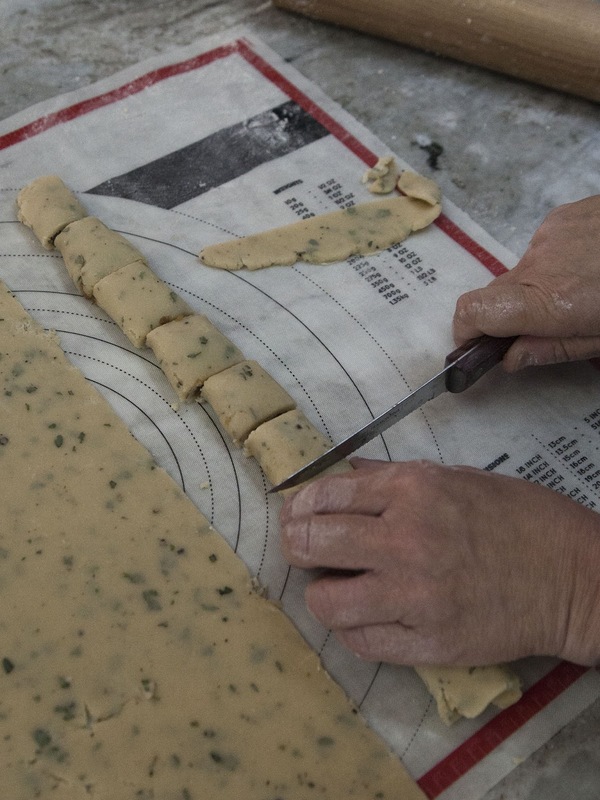 When the dough is rolled out, square it off, and cut it into wide strips. 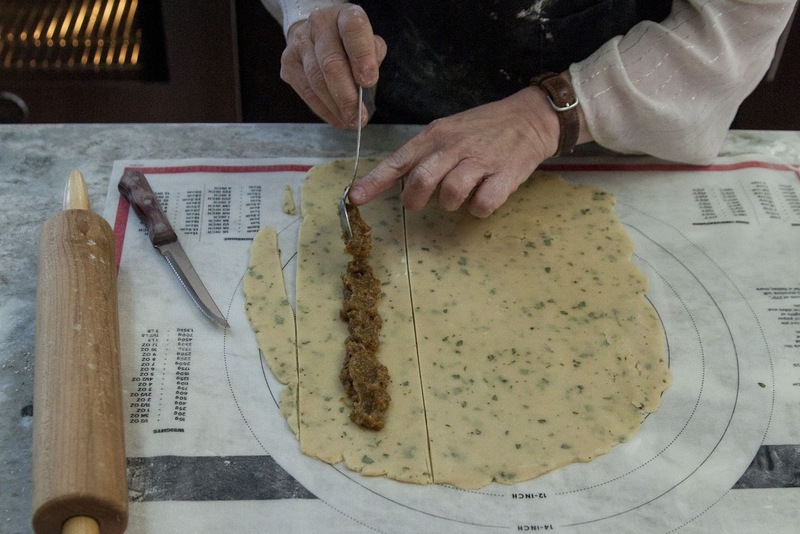 Spread some bacon jam down the center of each strip. 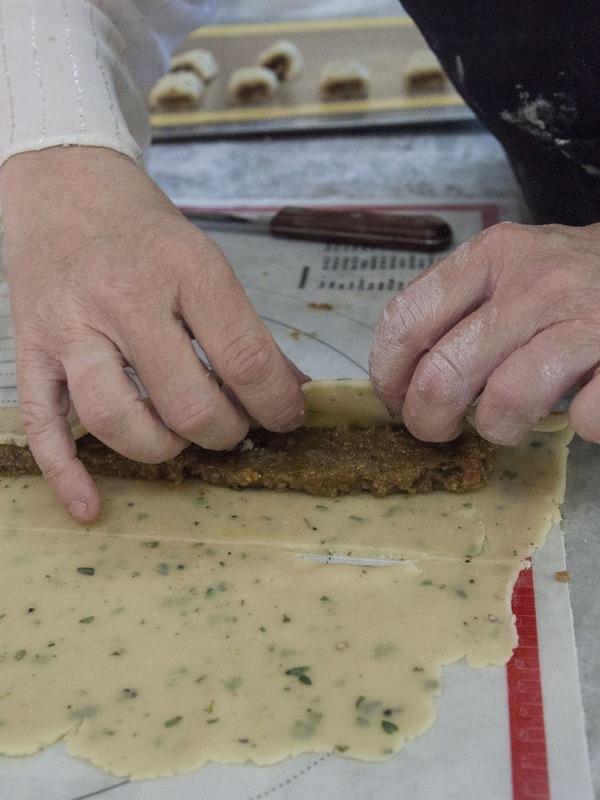 Fold one half of the strip over the jam. 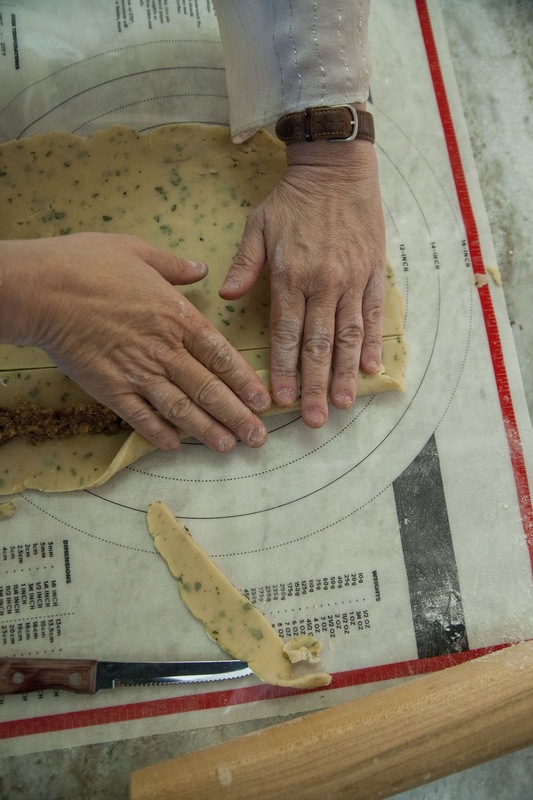 Flip the roll to the unfolded side, and cut them into bite sized Pig Newtons. 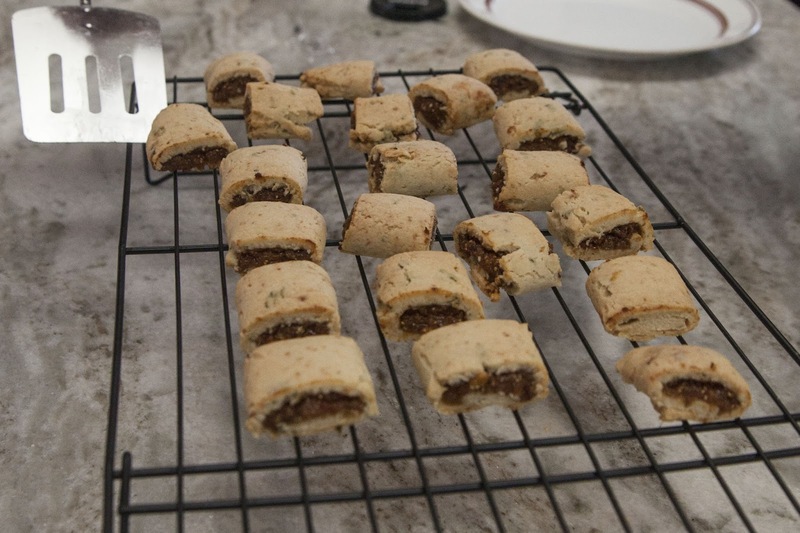 Place the pig newtons on a silicone mat on a baking sheet, or just parchment paper on a cookie sheet. Once made they can be stored in the fridge like this for a few hours before baking. Just cover them lightly with cling film. Of course you can also bake and eat them right away! 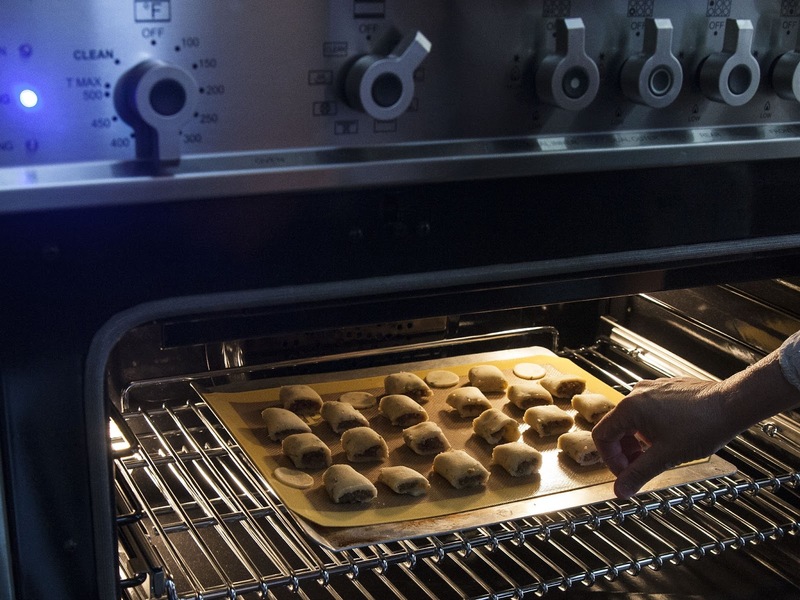 Put them into your 350 degree oven. 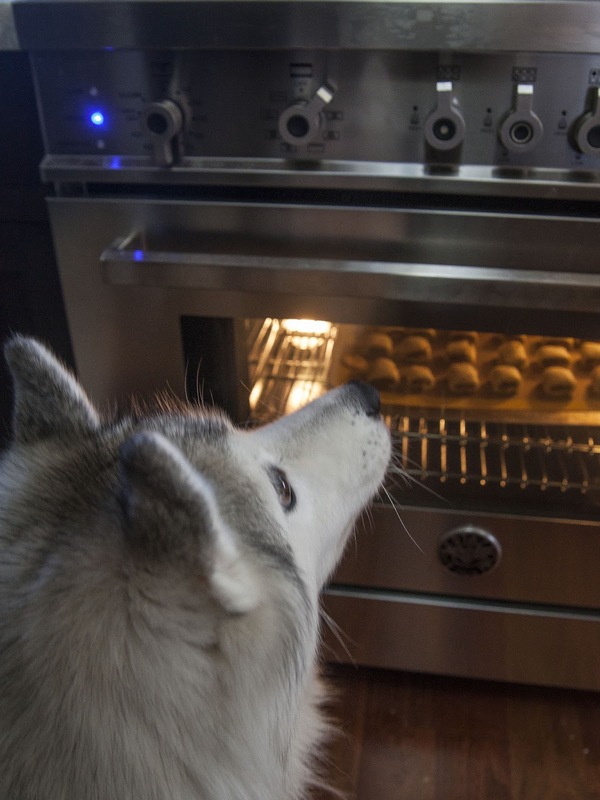 It seems that this is what oven windows were made for. When the Pg Newtons have turned golden they're done. Last night our friend Marie, who works for Patz and Hall Winery here in Sonoma brought over some of their Jenkins Ranch Pinot Noir. Our guests absolutely loved it. The perfect match I was told. 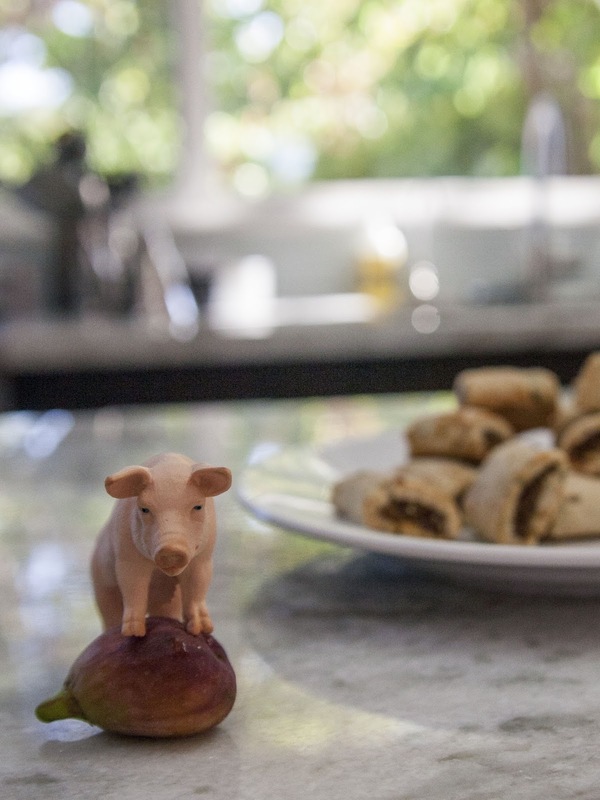 Pigs and Figs, made for each other. Sounds like a wonderful appetizer or delicious side. 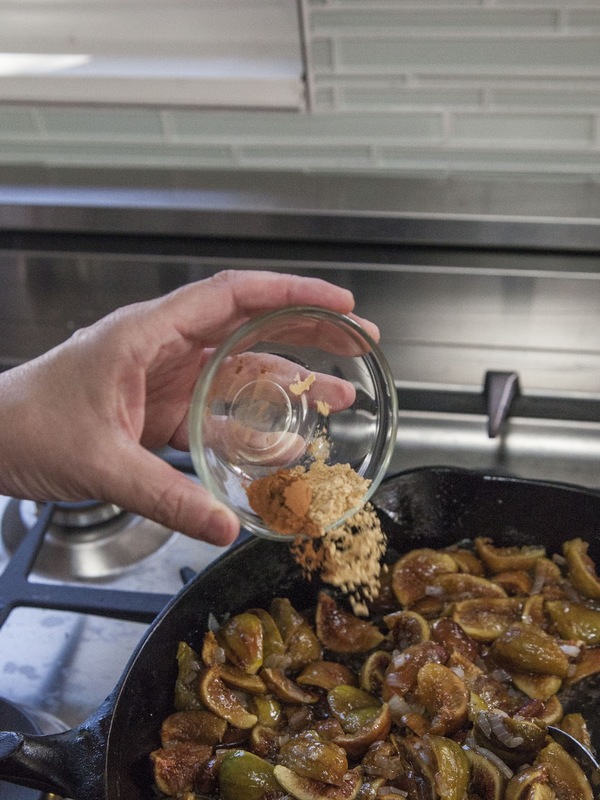 They're delicious hot and can be also made by reconstituting dried figs!